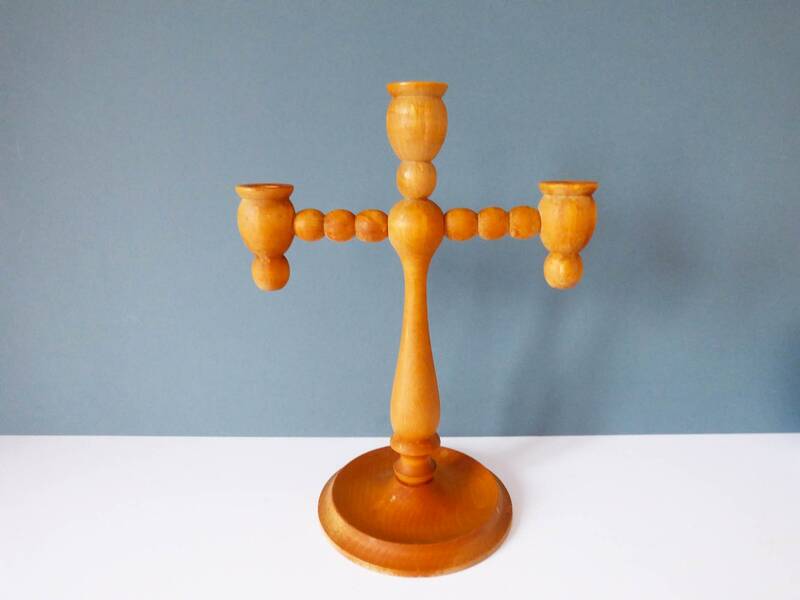 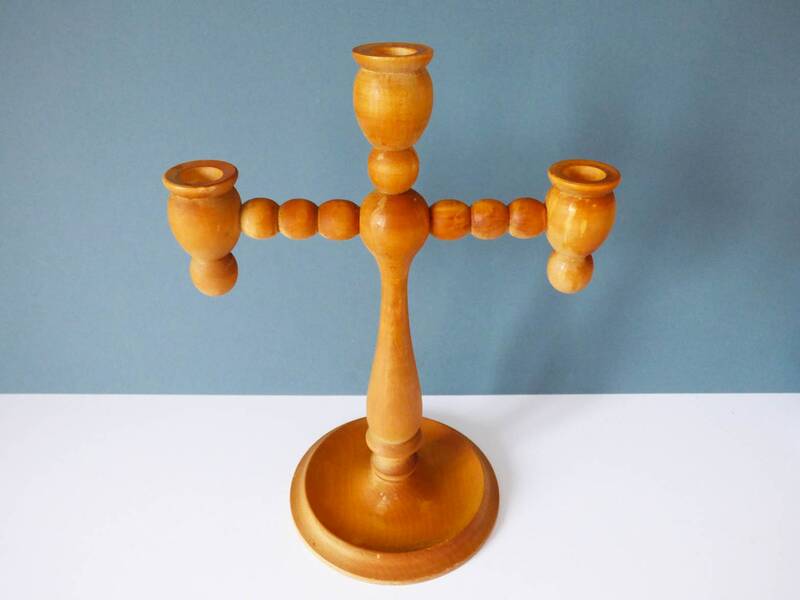 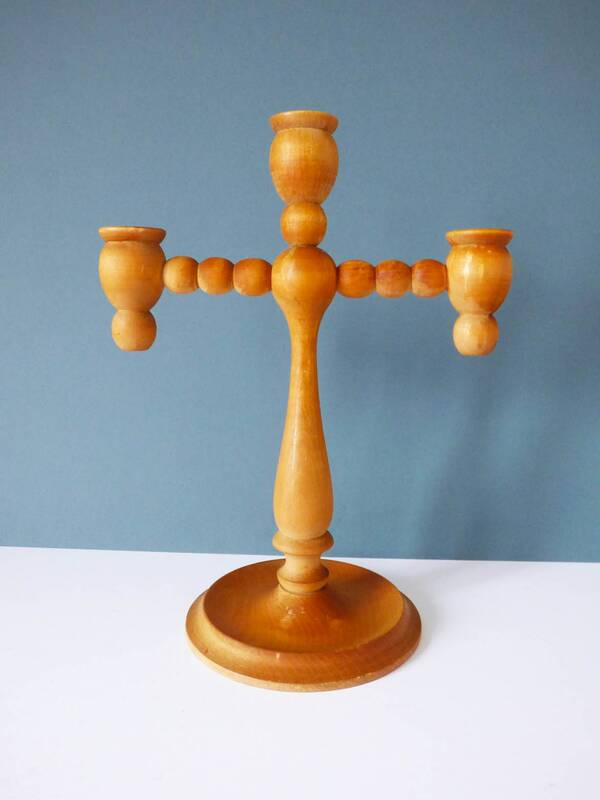 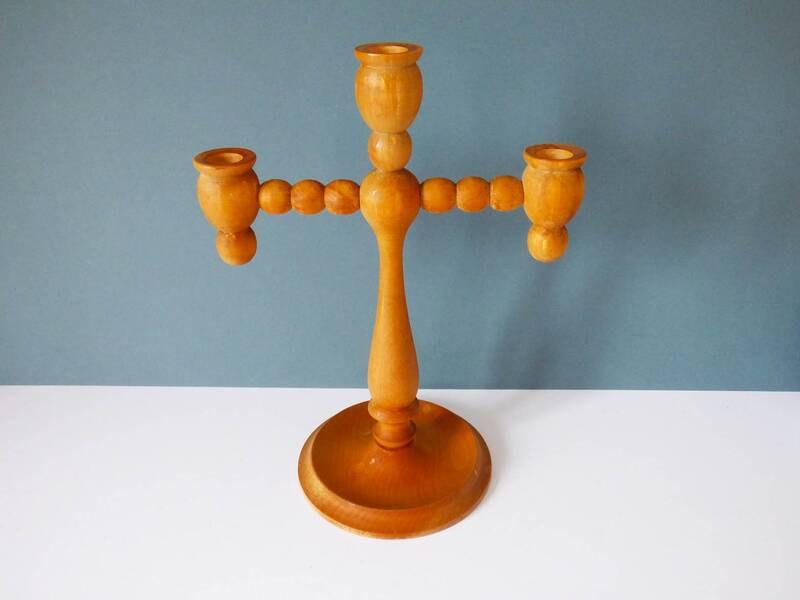 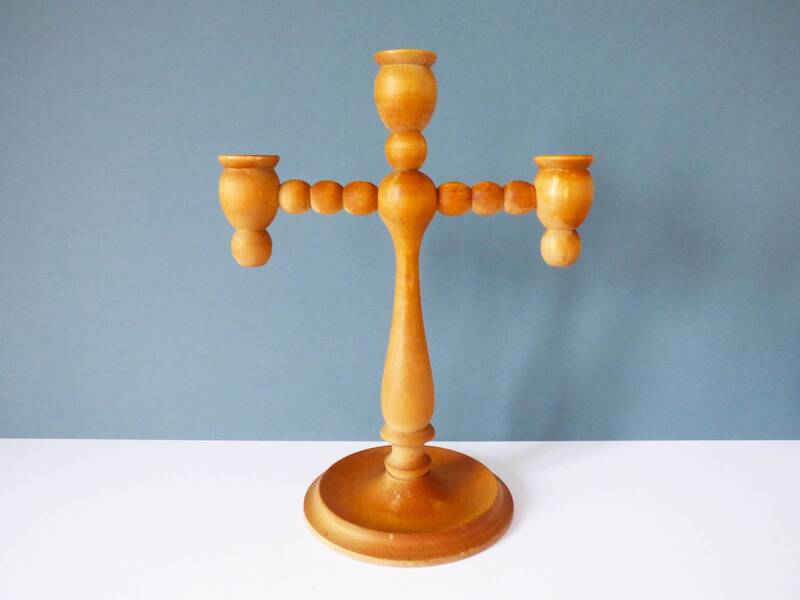 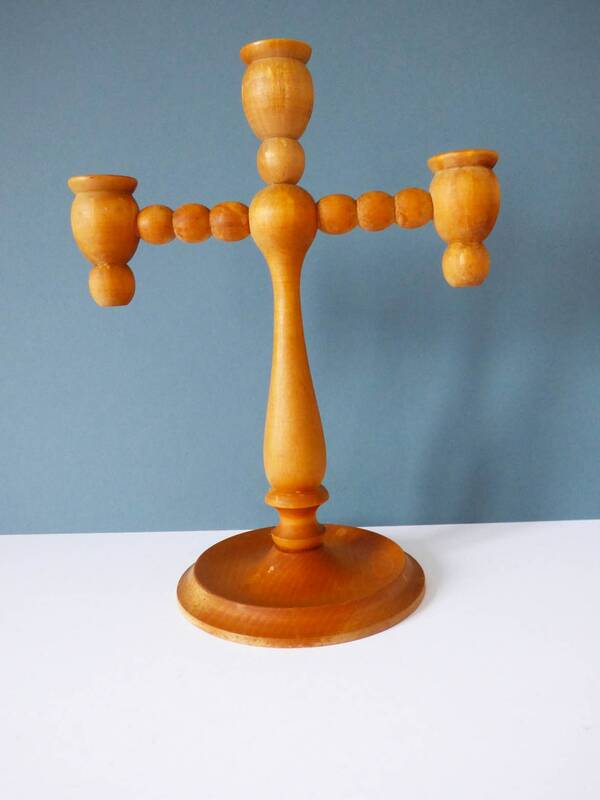 A Simple wooden vintage Scandinavian candle holder, from Sweden, the candlestick holds 3 standard sized candles the candle will need to have a diameter of 2 cm to fit this wooden candelabra. 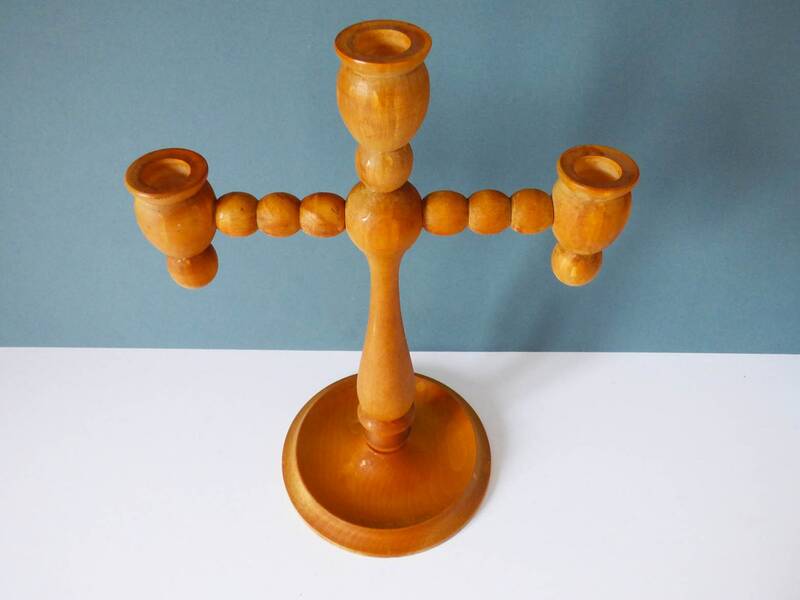 The candle holder is in great condition, the wood does not appear to have been varnish or finished with wax, there are some light marks to the wood, but in my opinion, these just add to its vintage appeal. 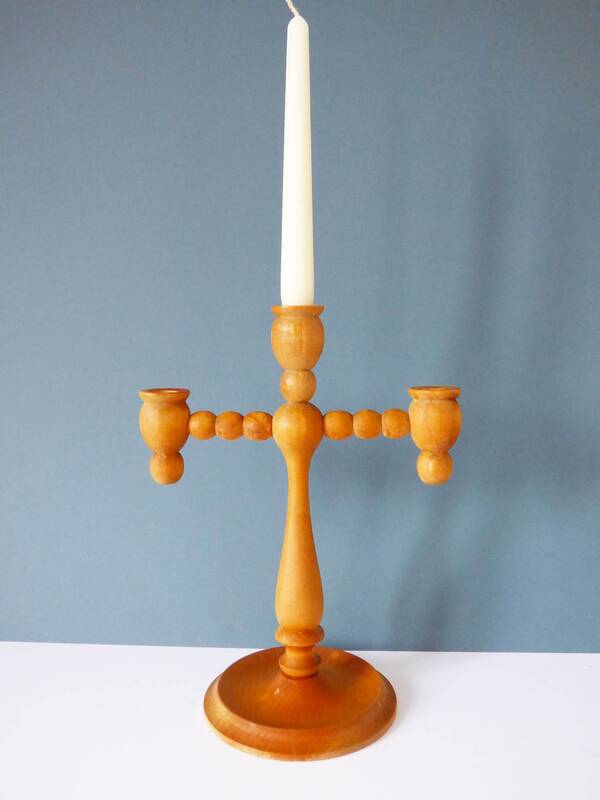 The candle holder parts do not have metal liners so for safety purposed you may need to obtain some. 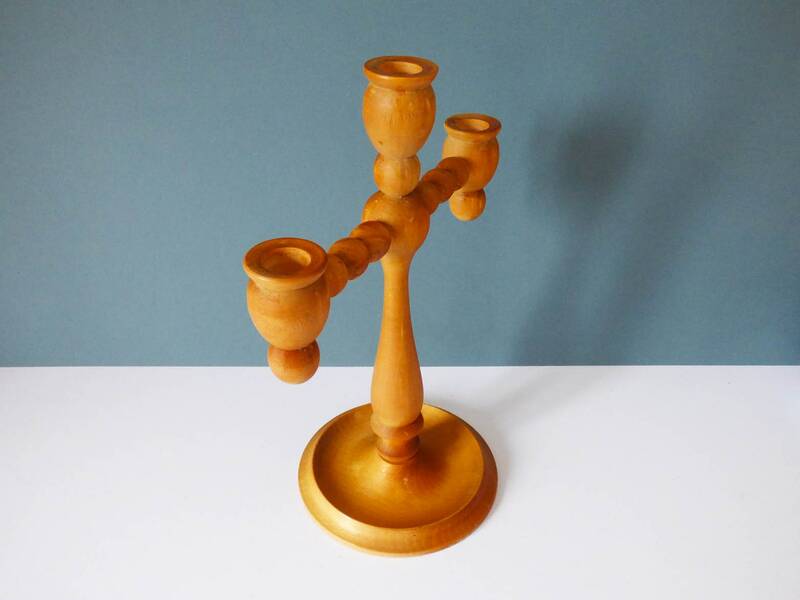 28cm tall x 22 cm wide.